9am – 5pm EST USA time. If you’re not moving forward, you’re falling back. Wondering how to make instagram highlight covers? This article will show you a step by step guide of how to make your own personalized highlight covers for Instagram. For those who like the path of least resistance we have some fun free downloads you can use too! Why should I use Instagram Highlight Covers? 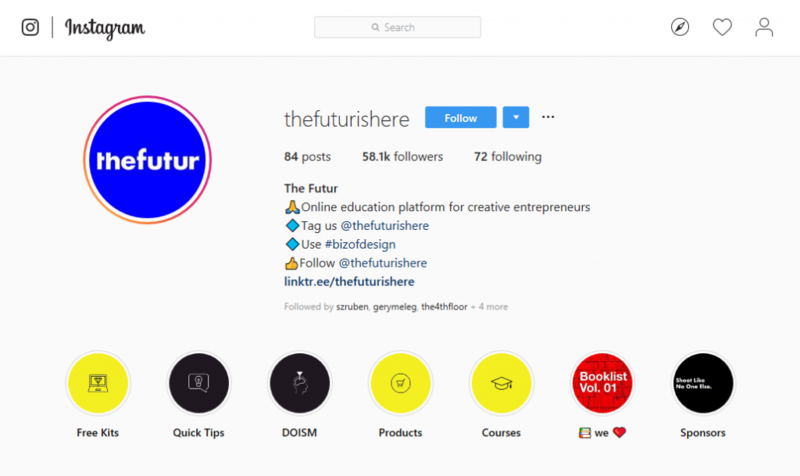 Instagram highlight covers allow you to keep your content easily accessible and organised based on the subjects your Instagram account covers. For instance you may have a fashion based Instagram. You could organsie your Instagram Highlight covers in clothing styles such as dresses, tops or pants. You could also try summer, fall, winter and spring fashion. Fitness accounts could feature workouts and food. I have got to say I am a major fan of these free pre made Instagram highlight covers. I have linked the websites to the photos so just simply click away! My go to designing tool is Canva. It’s easy free and you don’t need to be a graphic designer to produce the same results as one. Click “Create a design” in the upper-left. Choose “ELEMENTS” from the toolbar on the left hand side menu. Click on the “Icons” tab. This will bring up all of the icons available. Some are free and premium icons are paid. After you choose the icon you want as your custom Instagram Highlights cover, just choose a background color, and click “Download.” Make sure the icon isn’t so large that parts of it will be lost during Instagram’s circular cropping. One thing I love about Canva is that is will save your brand colors so that you don’t have to go searching for the file numbers each time you are creating new content. You are all done with the content creation of your Instagram highlight cover. Now all you need to do is to send it your phone, go back to Instagram, and post it as a new Story. PSST–> WANT TO LEARN HOW TO LEARN HOW TO ADD A LINK TO YOUR INSTAGRAM STORY (AND GET CLICKTHROUGHS!)? We hope you enjoyed our article on how to make your very own cust Instagram covers. Show us your icons below that you made! Here are some beautiful examples to get your creativity going! There are more ways to use Stories Highlights to promote your brand so you can get creative when you decide what stories are relevant for you and your brand, how to organize them and what cover suits them best. Take a look at these cool examples from marketers, bloggers, and designers to inspire your covers. 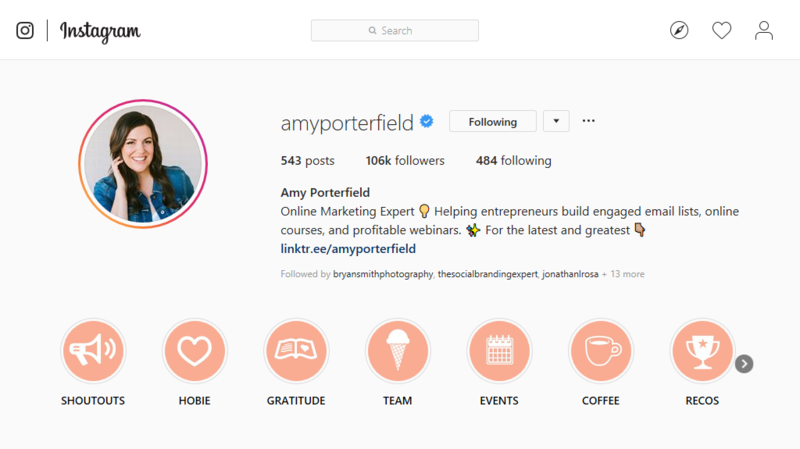 Get the ideas you need to get started from the top Instagram influencers on your niche, but remember to be authentic and use this Instagram feature your way! 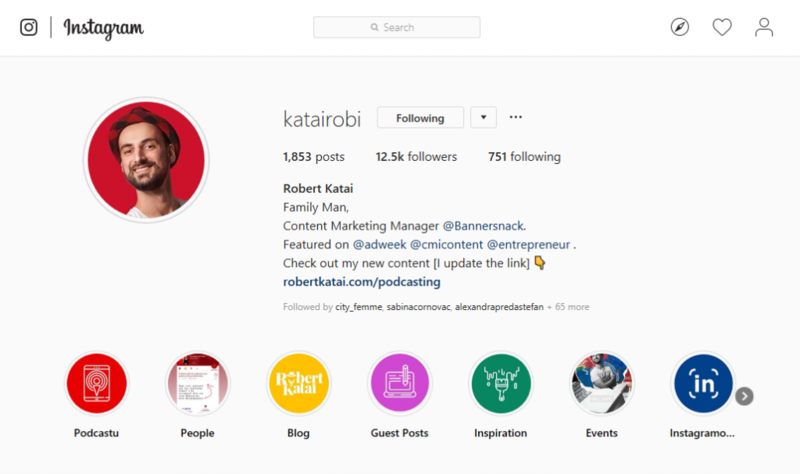 As a blogger, you can use Instagram to promote your latest content, like Robert did with his highlights. You can also use your highlights to promote your community and make it about them, as Amy did here. Promote your services, kits, products or courses in an ingenious way, to make them get noticed at a first glance. What is an Instagram Post Worth? What is the importance of a Social Media Strategy? Try our Instagram Influencer calculator to see what your posts are worth! It's time to implement your social media strategy. Success! Now check your email to confirm and make sure you add [email protected] to your mailbox so you don't miss out! Instagram Influencer Calculator – What are your posts worth? Wondering ‘Why don’t i have the link option on instagram?’ Read this guide to get it! How I use hashtags to Go Viral on Instagram and how you can too!